In the heart of Dunkirk, the restaurant "Le Marmiton" welcomes you in a chic and friendly for a meal with friends, family or professional. For all and for all occasions, traditional cuisines and new flavors are at the rendezvous. The warm welcome and the setting encourages you to discover this establishment. Victor, Fred and their team take care of the well-being of the customers and do not miss attentions always in a spirit of conviviality peculiar to our beautiful region. 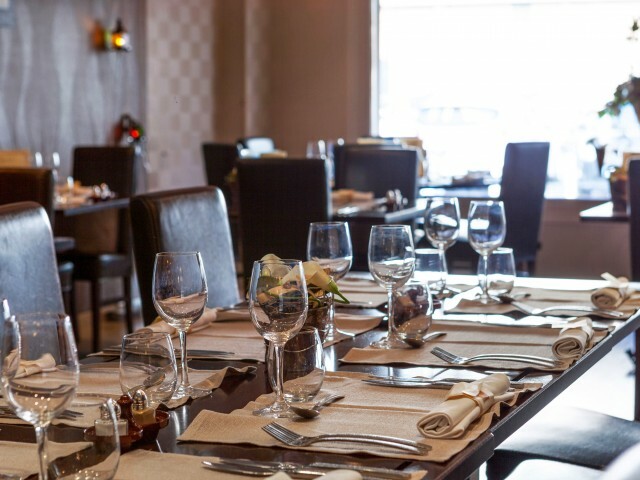 Spread over two floors, the atmosphere is friendly and authentic, the warm atmosphere, ideal for lunch for business meals or evenings and weekends with family and friends. Located in the city center of Dunkirk, the restaurant seats 40 people. "Tradition and modernity" : the chef prepares traditional cuisine on subtle and harmonious chords that will tantalize your taste buds. Refined and traditional, the Marmiton transports you between memories and discoveries.